Traditional style target garden game for all ages. 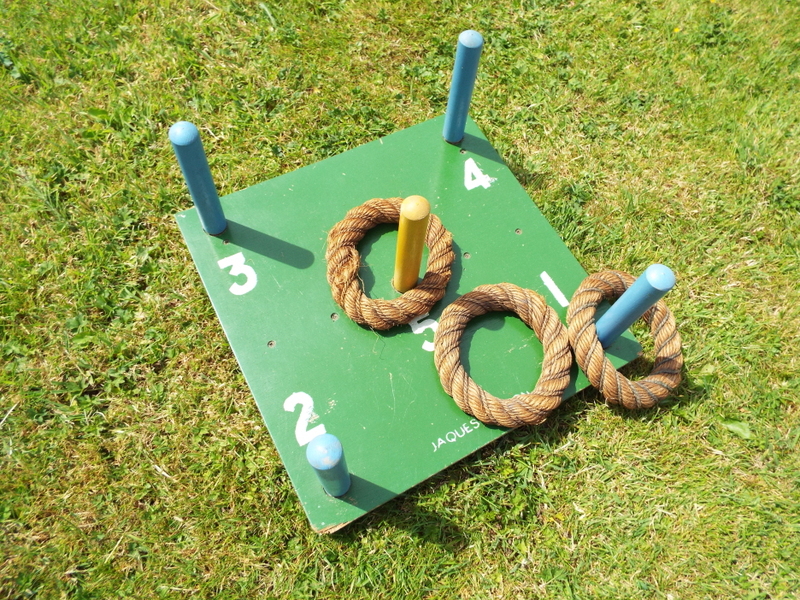 Vintage original Jaques Quoits target with four natural rope rings. This game can also be used for indoor parties. 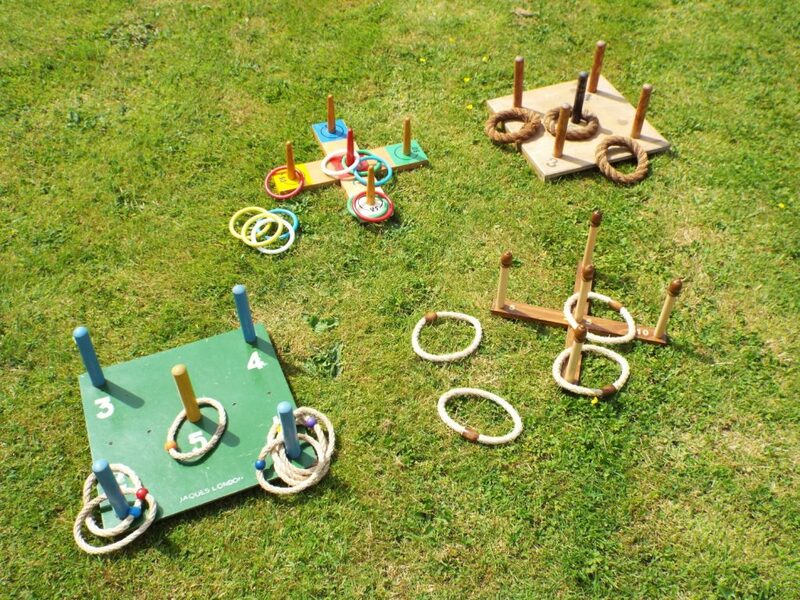 Other Quoits styles are available.